Note that you are invited to print and share any original TRUCE material without further permission. 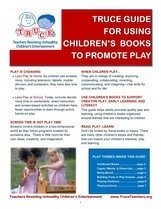 ​This guide explains what quality play is and how parents and caregivers can support it. Why is quality play so important? What are the best types of play and toys for infants? What are the best types of play and toys for toddlers? ​Play Boxes contain collections of small, familiar, inexpensive items that are organized around a play theme, such as Vehicles, Office, Baby, Gardening, and Collage. These items are presented in an appealing way and are contained, conveniently, in a box. 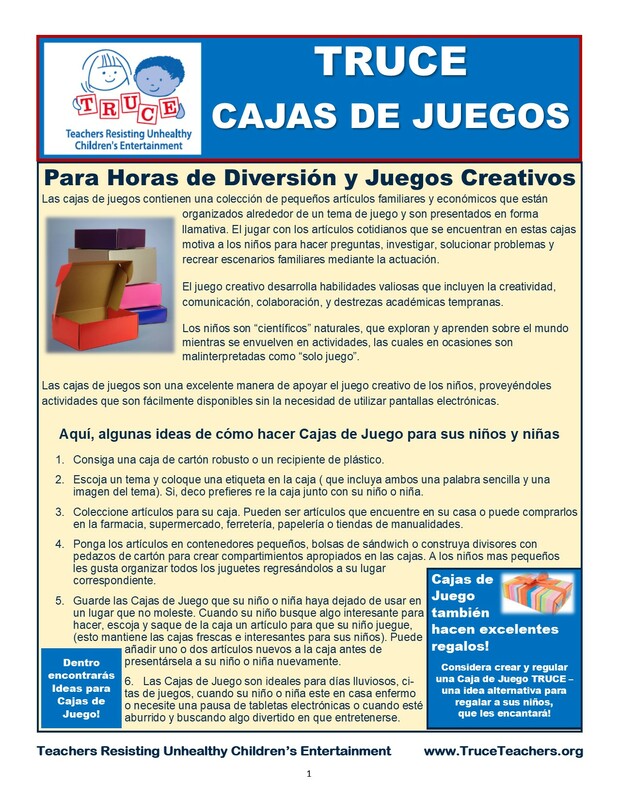 This TRUCE Guide suggests several Play Box themes, lists items for each theme, and also mentions what children will learn by playing with them. 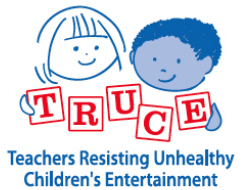 Click here for a color version of TRUCE Play Boxes. Click here for a black and white version of TRUCE Play Boxes. 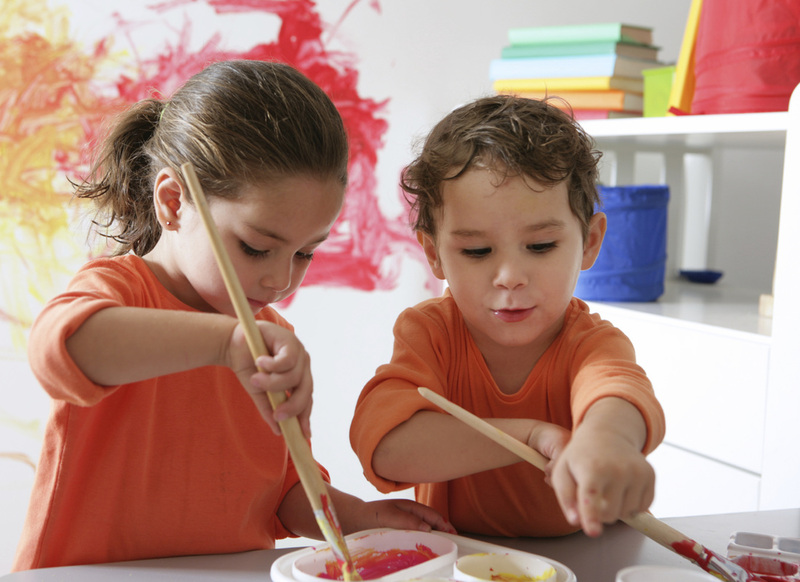 ​This guide will help parents and educators promote children's creative and constructive play; work with others at home, school, and in the community to support positive play; and make informed choices about toys. ​Children's books, from old favorites like Where the Wild Things Are and Cat in the Hat, to brand new ones like How to Share with a Bear provide a wealth of ideas to promote children's play. 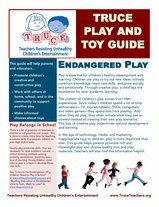 ​One-page flyer, describing "The TRUCE Guide for Using Children's Books to Promote Play"
This annual review helps parents choose toys that promote healthy play and avoid toys that undermine it. In this age of technology, media, and marketing directly to children, it is especially important to make informed toy choices. 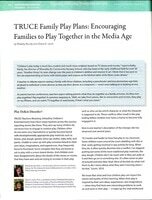 "TRUCE FAMILY PLAY PLANS: ENCOURAGING FAMILIES TO PLAY TOGETHER IN THE MEDIA AGE"
​OF SUSTAINED PLAY IN CHILD DEVELOPMENT"